Coasteering in Madeira Island allows to know the most beautiful protected landscapes of Madeira. 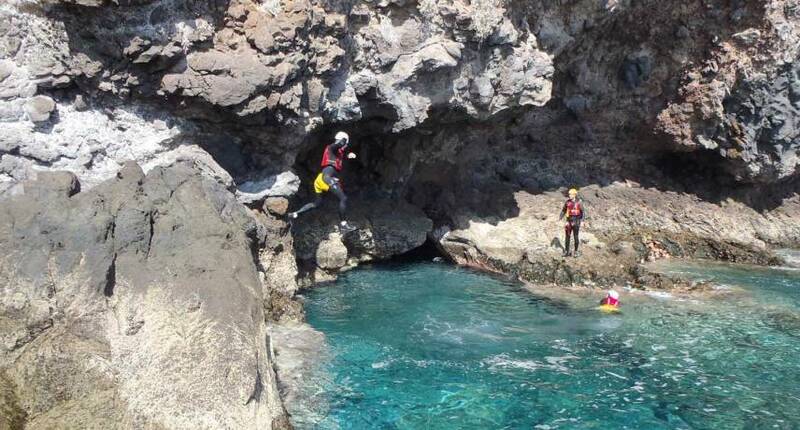 Coasteering combines rappel, climbing and jumping into the sea, in a single activity that allows you to find the cliffs overlooking the bays, the caves and the hidden nooks with translucent water that exist in the island. Who says you can’t combine rappel, climbing and jumping into the sea into a single activity? We present to you Coastering, a recent outdoor activity in Madeira Island, that combines these three activities in a route along the coast line. Coasteering in Madeira Island is situated in the Ponta de São Lourenço Reserve..exploring the coast, walking, swimming, climbing and jumps.